Relocating to a new house is stressful enough without having to worry about the logistics of an entire move. So when it comes to the heavy-lifting (literally), leave it to the professionals — professional movers, that is. Experienced Blaine, MN moving companies consist of expert movers and packers who can efficiently pack, move and assemble your Blaine belongings to ensure that you get off to a good start in your new home! Your move begins with a complimentary consultation where you are assigned a personal Move Manager who will be with you every step of the way. 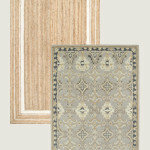 Your Move Manager will work with you to create a move plan and floor plan of your new residence. 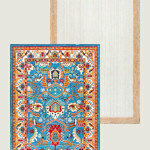 They become an experienced and valued resource for downsizing. 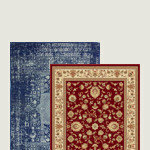 We take special care to properly wrap and pack your valuable possessions to get them to your new home safely. Our staff unpacks all of your possessions and resettles them to create a sense of home by the afternoon of your move. Metcalf Moving & Storage is Minneapolis, St Paul and Rochester’s professional movers ready to serve your local or long distance home or office move. One of the most frequent problems our generation face is a cracked screen of our phone, which can literally ruin our routine, in this case getting your iPhone repaired and running smoothly is your priority, Brand New Again offers screen repairs, battery replacement, home buttons, cameras, charging ports, water damage repair for every model on the same day with a lifetime warranty. Our experts strive to get your phone/iPad repaired as soon as possible. To know more about our services contact us at (612) 444-6000. Our professionals are always ready to help you. 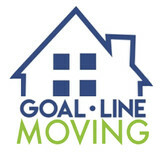 Goal Line Moving focuses on giving customers a stress free and safe move that will not break your wallet. You will never have to worry about our commitment to giving you the best possible moving experience because we pride ourselves on our reliable and friendly values. 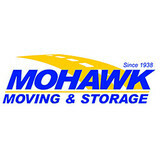 Mohawk has been the Local Twin Cities trusted moving professional for thousands of customers nationwide. Our experience encompasses 75 years of professional moving, packing, transporting and storage services. We are Minneapolis movers that continue to provide innovative and cost-effective transportation solutions for our customers. Manny's Piano Moving is a family-owned and operated, full-service moving company in Minnesota. Established in 1983 by Roland "Manny" and Judy Schwartz, Manny's Piano Moving has grown to become a leader in moving pianos, safes, household and other specialty items throughout Minnesota. Established in 1983 by Roland "Manny" and Judy Schwartz, Manny's Piano Moving has grown to become a leader in moving pianos, safes, household and other specialty items throughout Minnesota. Being a family owned and operated company, we believe that every customer deserves to be treated like family. That's why we'll come on Saturday's too - at no extra charge. During peak times, Manny's has moved more than 150 pianos per week. We are fully licensed, bonded and insured. Manny's brings more than 40 years of moving experience with all of Manny's employees being trained by Manny himself. We are fully licensed for commercial and residential moving throughout Minnesota! Quality Moving & Storage Moving Co. It is our commitment to these values that has made Quality Moving & Storage the mover of choice for families and businesses from the Minneapolis/St. Paul metropolitan area through the Hudson and western Wisconsin area. Whether you are moving across the street or across the state, Quality Moving & Storage is the experienced and professional partner you want and need to get the job done. 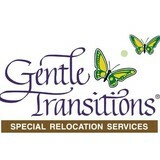 We are your Twin Cities Metro home, business, and apartment moving experts. Our company motto is: The customer is #1 with Good Stuff Moving. We’re here to assist you with any aspect of your move. Whether it is a local Minneapolis / St Paul move, a move within Minnesota, or a cross country move, we have the service, answers and staff to get you and your things to your new location! Taking great pride in the quality services we provide, City Moving & Storage has helped individuals within the Twin Cities and beyond safely move belongings from one point to another. We specialize in commercial and local moving, as well as FF&E installations. If you need to store belongings for a specific amount of time, we can do that for you too. One of the qualities of City Moving & Storage is the experience that is provided. Company founder, Bob Fearing, has over 25 years of experience working with major van lines for the purpose of corporate relocation. When he founded City Moving & Storage in 2010, he brought the same high standards with him, providing customers with both high quality service and professionalism. Nonetheless, the primary goal is to provide a service that removes the guesswork from the process for the purpose of removing as much stress as possible from the move. We understand that moving can be a difficult and stressful transition, so we work hard to make the experience a pleasant one for you so that you can be completely satisfied at the end of the move. Family owned and operated, Lovelette Transfer Moving has over 75 years of industry experience and is licensed, bonded and insured. Lovelette Transfer provides very reasonable rates so contact us for your next move. 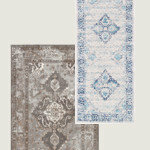 We understand the stresses and challenges moving can bring. We strive to provide you with the highest quality service by caring for your belongings as if they were our own. Moving is an exciting and life-changing event; let us do the work so you can enjoy it.